The starting point for Land-Institut in Puerto Williams – A Failed Attempt is the artist group Land-Institut’s trip that didn’t happen. The group was supposed to go to Puerto Williams at the southern tip of Chile in 2013. In spite of a long period of preparing, grant applications to Finland, Chile and Germany, an artist residency and an exhibition space, a producer, numerous letters of recommendation and a sponsorship of a ferry company, the project didn’t get enough funding. 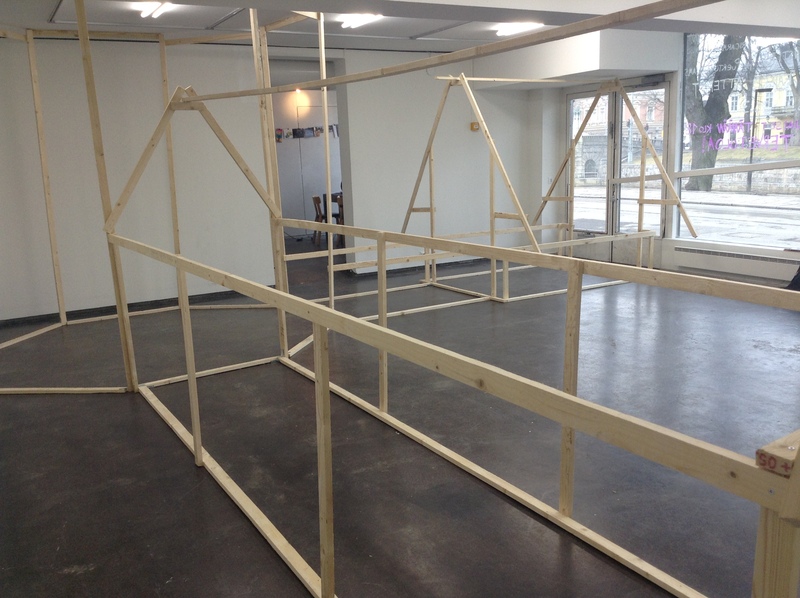 The exhibition in Titanik is concerned with this common situation: the time and work spent on preparing and applying without a realised project. 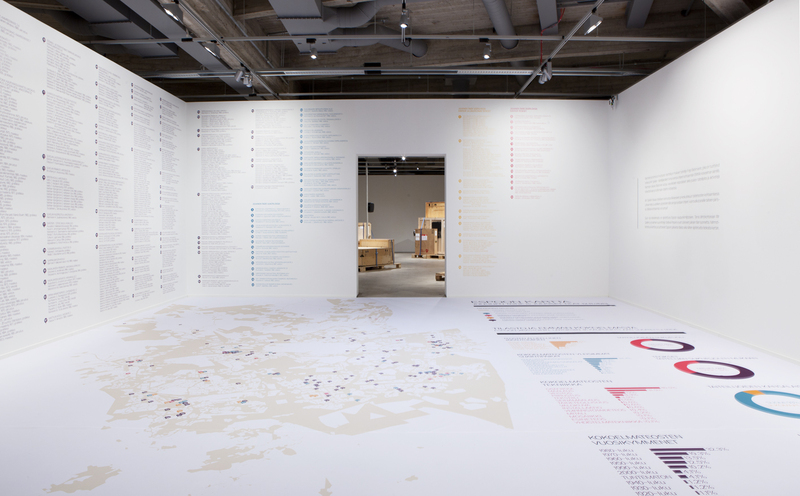 Furthermore, the exhibition especially pays attention to the entanglement of collecting and producing knowledge, fantasizing and projecting in the preparatory work. The Land-Institut in Puerto Williams exhibition was supposed to take place in Museo Antropológico Martin Gusinde in May 2013. Not only is the Martin Gusinde museum a producer and a frame of knowledge and information but also the object of the Land-Institut group’s knowing and thinking. The Antropological museum Martin Gusinde is built out of wood, pixels, Wikipedia articles, grant application texts, the colonial figure of Martin Gusinde and the imaginations of the extreme south, remoteness and the exotized Tierra del Fuego. 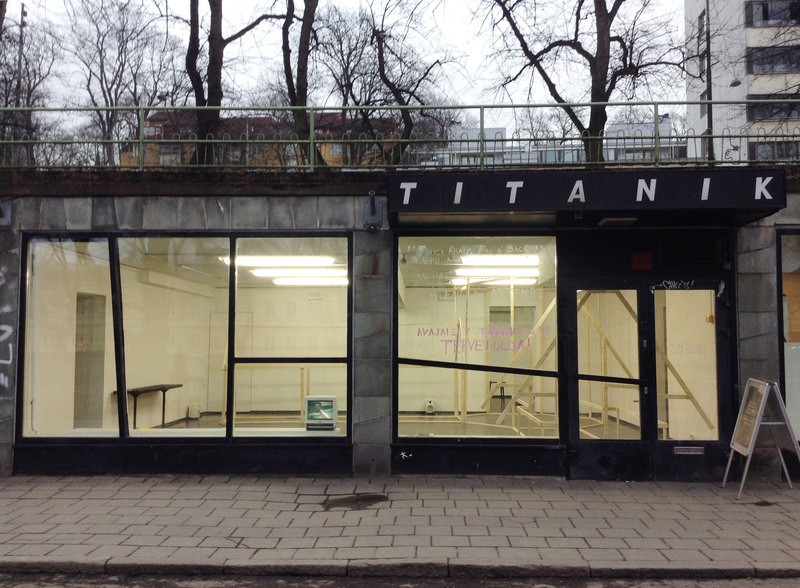 Land-Institut is an artist group founded in Berlin 2011 by Mónica Araus, Freja Bäckman, Vappu Jalonen and Maricarmen Jaramillo. 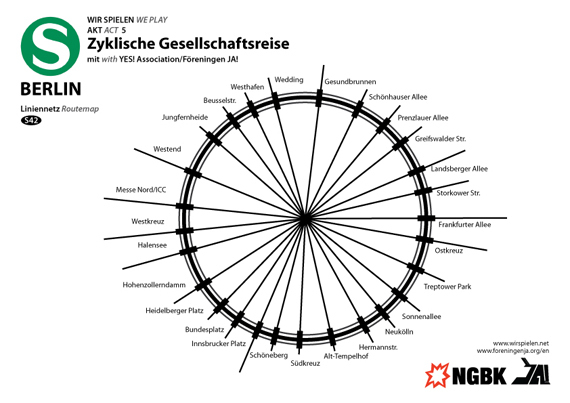 WIR SPIELEN (WE PLAY) is an artistic investigation on the topic of collectivities and the significance of the pronoun “we”. As part of the project a series of events was organized in the nGbK, New Society of Visual Arts in Berlin in 2013. Throughout the five events a variety of textual material was produced and compiled. The text took the shape of a theater play and is now published as a book. 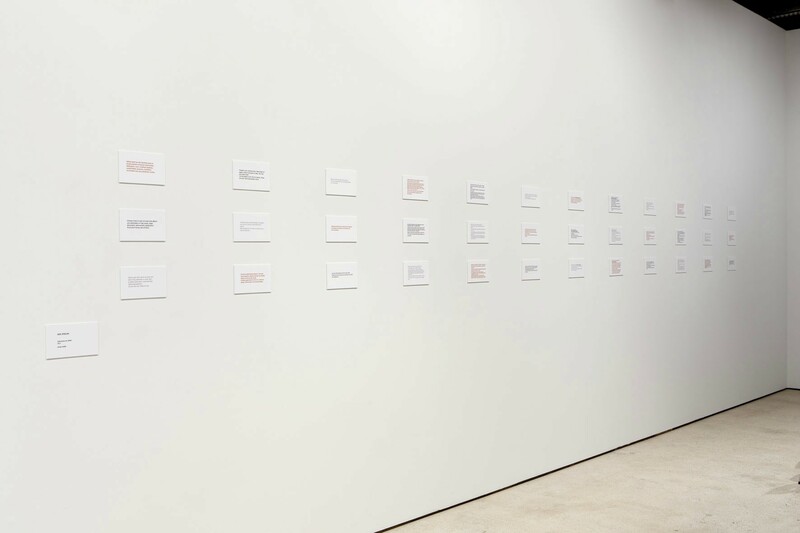 The exploration of different means of textual production was a fundamental part of each of the five events and the results have been transcribed, selected, fragmented and recombined, composing dialogues and speculative interactions. The sources of those words have been carefully kept – when possible – and appear alongside the text, in an attempt to evidence the complexity and veiled references existing in many speech acts, at the same time being willing to complicate the notion of authenticity and authorship. The inspiration for the methodology employed in this book is a result of an encounter with Mary Ellen Solt’s poem “THE PEOPLEMOVER 1968 A Demonstration Poem“. The poem as well as its first German translation is reprinted as part of this book. AYE / NAY / ABSENT – A Collection of Realities features the everyday life of the EMMA art collection. The exhibition team has studied what kind of a relationship the people of Espoo have to their art collection and the meaning of a public art collection – why and for whom is art collected, who encounter it and how? The exhibition has been realized by students from the CuMMA (Curating, Managing and Mediating Art) Master’s Degree program at the Aalto University in collaboration with EMMA staff. 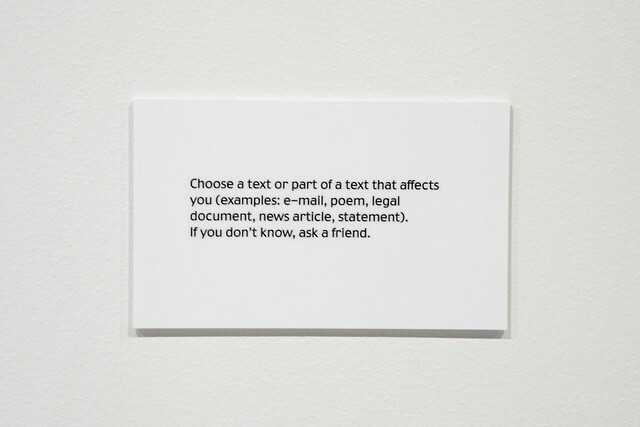 A set of instructions written by the workgroup Wir Spielen to be used as part of the exhibition AYE / NAY / ABSENT – a collection of realities in EMMA (Espoo Museum of Modern Art) curated by a group from the CUMMA – masterprogram at the Aalto University. The works created in workshops, or otherwise, by using the instructions are published on InStrucions for EMMA. Follow the instruction (some or all). 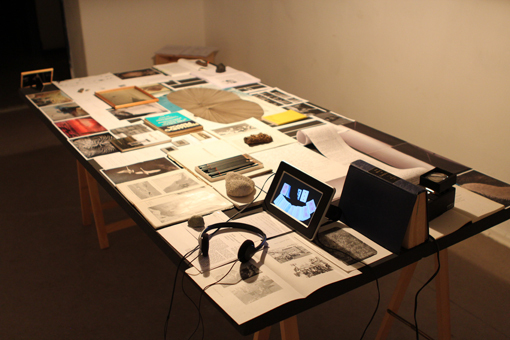 We were editing the WIR SPIELEN acts at Flutgraben project space, as part of Inverse Institution. For Act 5 of WIR SPIELEN (WE PLAY), YES! Association/Föreningen JA! invited us on a cyclical trip on the Berlin Ringbahn. We traveled collectively and engaged in our desire to make sense of “today” through looking, moving, conversing, and reading aloud. Mary Ellen Solt’s point of reference for THE PEOPLEMOVER was the train that transported a fun-seeking crowd around Disneyland. This train was simply called The PeopleMover. For Solt The PeopleMover of Disneyland represented a world of fantasy, fake history, consumerism and political amnesia. Instead she wanted to locate The Peoplemover in the real world, in the USA of 1968, a nation transfixed by political degradation and in need of awaking. She envisioned The PeopleMover as a demonstration. We suggest to locate The PeopleMover in the public transport sphere of Berlin’s S-Bahn. 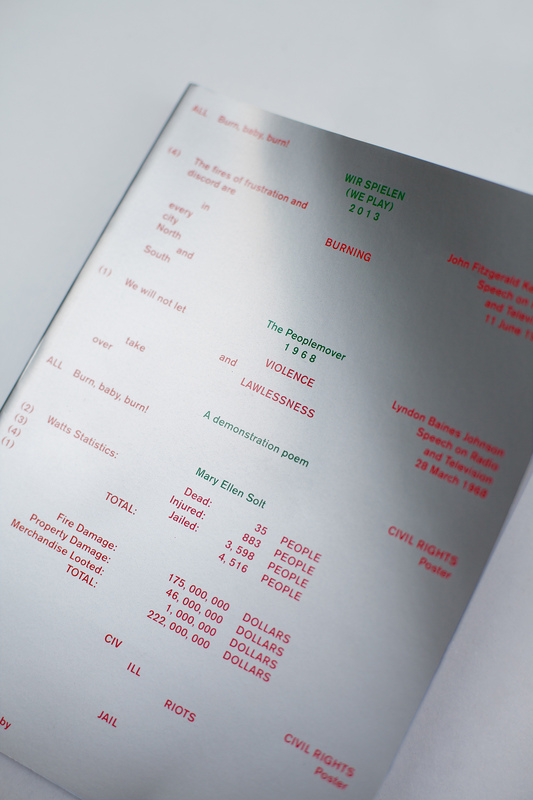 LANDSCAPE IS AN INVISIBLE LANGUAGE is a book project by the artist Marta Leite. “Language is an invisible Landscape addresses the word as sculpture, as an element with weight. It is a research on the concept of “dawn”, confronting it with its own meaning when pronounced in the following languages: German (Morgengrauen), Icelandic (Dögun) and Portuguese (Amanhecer). How can I survive at the documenta? Group, Collaboration, Network, Sharing – How does it really work?